JI Bases’ full line of table bases provide the wide selection necessary to effectively support all types of restaurant tables. 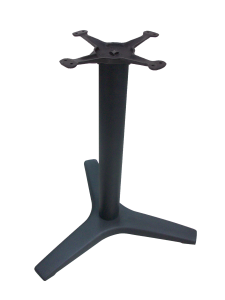 From the industry standard 4-prong to popular round bases, table base models are available for every standard table top size. Most are available in dining and bar height to meet your every need. The most popular table bases in the restaurant industry. 4-Prong bases provide stability and feature 4 points of contact to provide reliable performance and carefree maintenance. 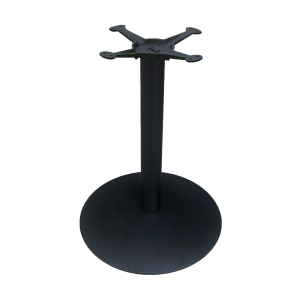 The 4-Prong design allows patrons to straddle or sit on either side of the base as opposed to putting their feet on the base. Also known as our "B" Series. With the 3-prong base models you’ll enjoy the unique styling and proven functionality that only a tripod base can give. 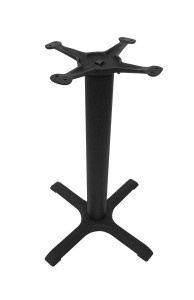 Stylish, domed table bases produce 5 points of contact, allowing for our heaviest base for larger table tops. 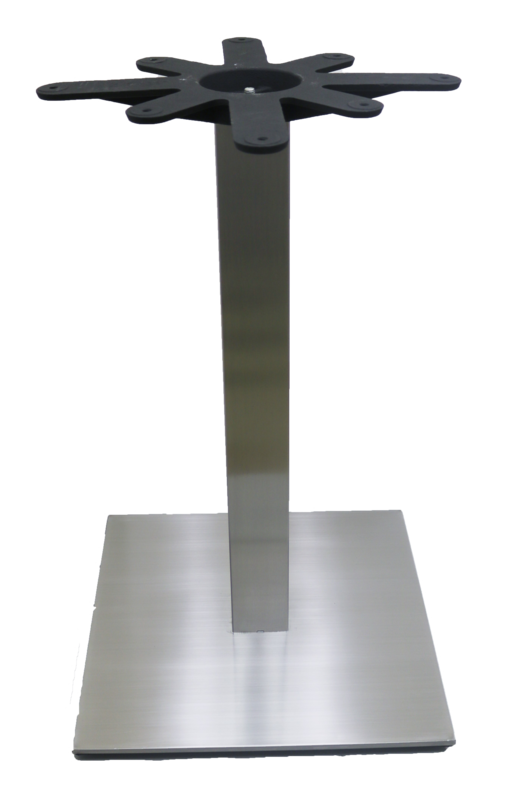 JI's newest line of stainless steel bases are made from solid #304 stainless. 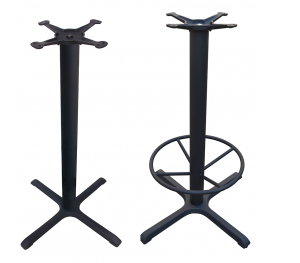 These 4-prong bases are available in dining or bar height, 18"x18" or 22"x22" footprint, with a matching 5"x22" end base. 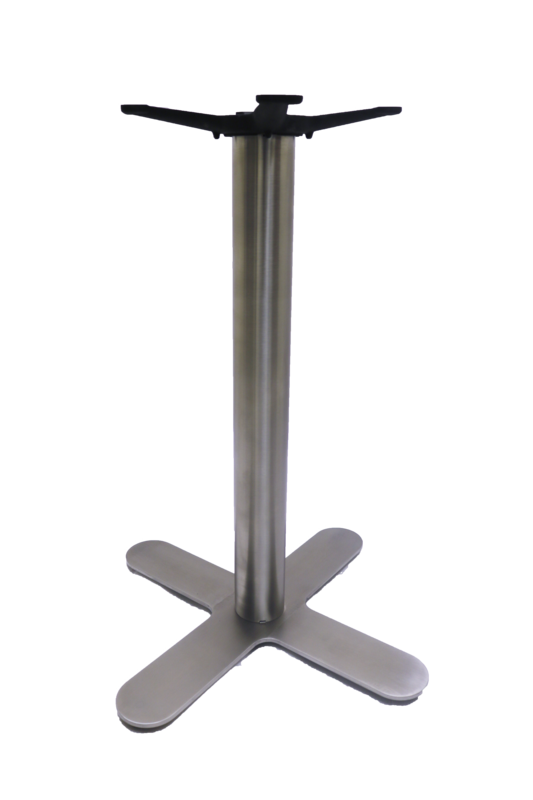 Our line of round stainless steel table bases include dining and bar height styles in 18″, 22″, and 28″ sizes. Stylish and sturdy, our stainless steel table base line is a popular option. 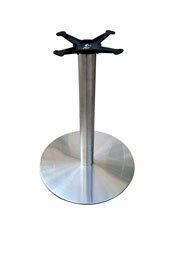 JI Bases’ square stainless steel table bases come in dining or bar heights that support many different size table tops. The 304 interior-grade brushed finish makes them perfect for commercial and industrial applications. All base plates include an attached, notched mounting plate that aligns with notches in the column to prevent spinning. All of our styles are available as Bar Height table bases as well. If you’re just looking to deck out your bar, here’s the spot for premium JI Bases! All are available with or without footrings. It’s up to you. 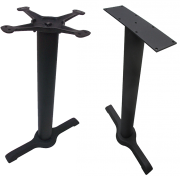 2-Prong end bases provide a convenient and cost effective solution for longer rectangular tables or for your ADA solution. Available to match the most popular 4-prong series, as well as our 3-prong series. 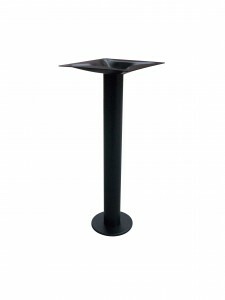 Dependable performance can be expected from JI Bases’ bolt down table base. 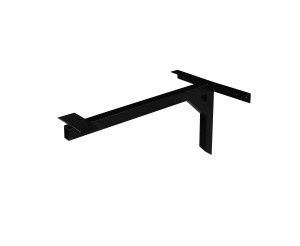 Available in both bar and dining heights, these bases are ideal for ADA table applications. For wall mounted tables, the cantilever table bases are designed to accommodate permanent table and dining applications. The Pin Leg table base accessory works in conjunction with JI cantilevers to administer extra stability for longer table tops.